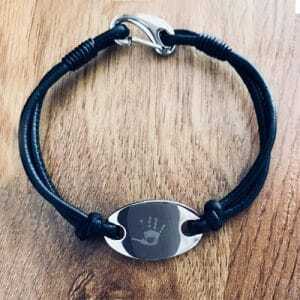 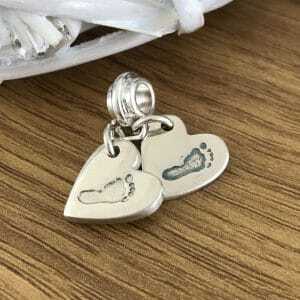 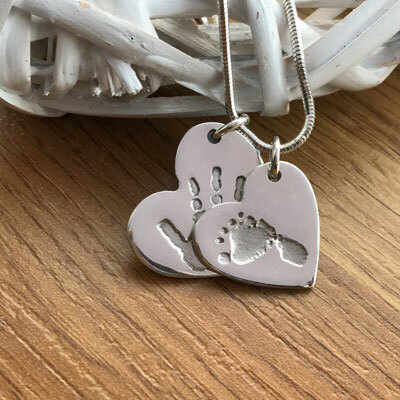 Handmade Silver Duo of Hand/Foot Print Charms. 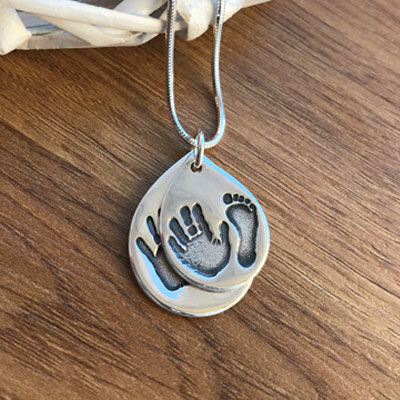 Keep your child or loved one close to your heart on a beautiful handmade silver charm. 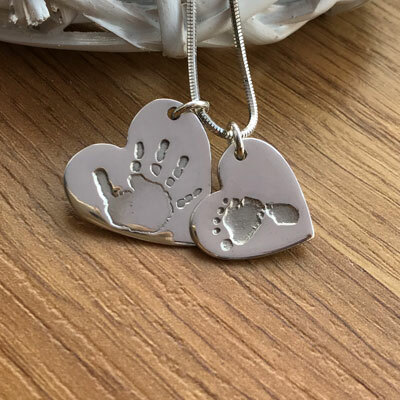 These stacking charms are handmade from 99.9% Fine Silver and comes supplied on a jump ring ready to attach to your chosen accessory,if you would like them on two separate jump rings please contact us. 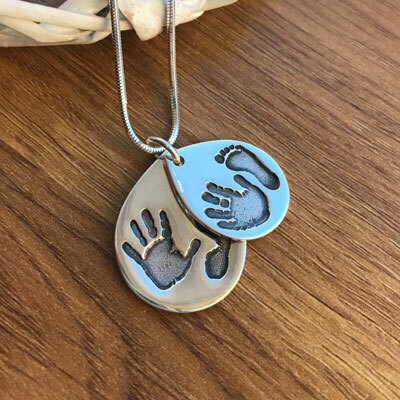 If you would like to purchase a necklace please see the jewellery accessories. The larger charm is approximately 2.5cm (approximately the size of a 50p) and the smaller charm is approximately 2 cm (approximately the size of a 10p). 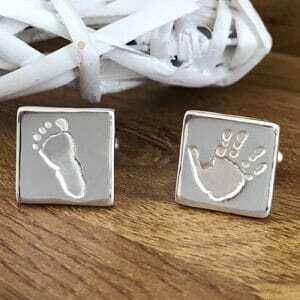 They measure approximately 1mm in thickness. 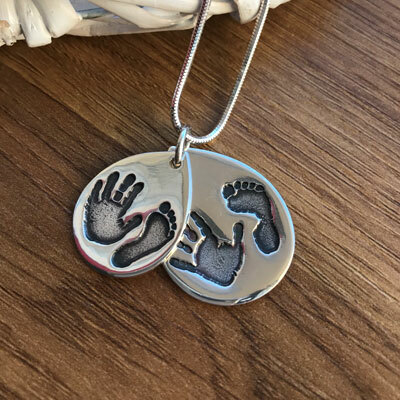 They are both perfect for a child or an adult print. 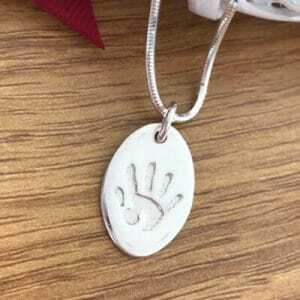 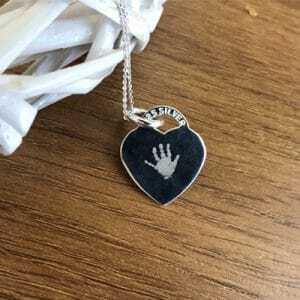 You can opt to have a name, initials or date hand inscribed on the reverse of the large charm, up to 8 characters and up to 6 characters on the smaller charm. 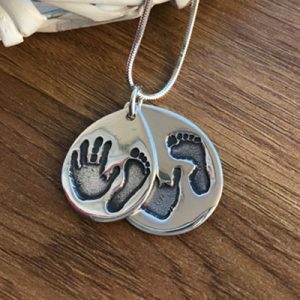 Once you have placed your order a print kit and prepaid envelope will be sent to you to return the prints. 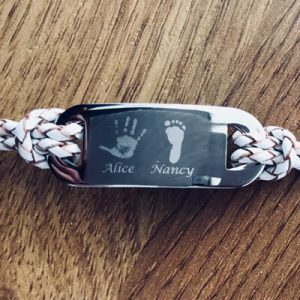 It is very easy and comes with full instructions.